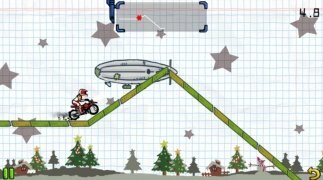 Android has become an excellent platform for racing games starring cars, bikes and other motorized vehicles. 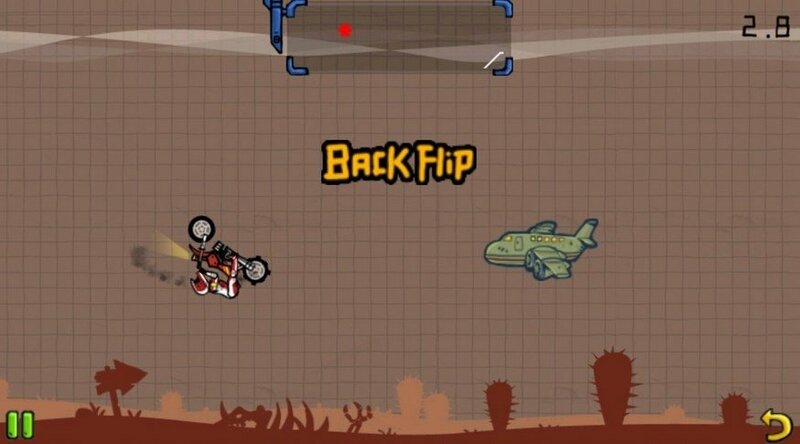 MX Moto belongs to this category, a game in which we'll ride a motocross bike completing all sorts of stunts and flips and in which our Android's accelerometer plays a very important role. 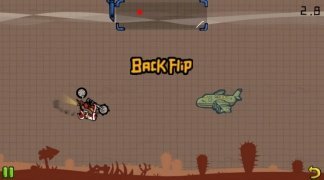 The control system is based on the moves you'll have to do by tilting your phone to make the rider dodge all sorts of obstacles. Tilt forward and backward and tap the sides to speed up and slow down the bike, avoiding bombs, cliffs, and other dangers while you're at it. Very similar to Hill Climb Racing, but much more modest. It might not be the best racing game, but if you decide to download this APK you'll definitely have much more fun. Especially because the challenge of using all your skill to try to reach the finish before running out of time is definitely going to keep you entertained.